Please enter a valid email and check confirmation box. Transparency is embedded in our company's DNA. Our culture is scaffolded by authenticity, innovation, collaboration and ideation. As a people-driven organization, we set our team members up for success—you get to own your work, your projects and your areas of focus. Our environment is creative yet structured. Our decisions are data-driven and agile. You can sit down with our leadership team to pitch an idea and by the end of the week, it will be executed on. We encourage our future leaders to continuously learn and help others learn; be curious and courageous; and be inspired and inspire others daily. These attributes help us cultivate a world-class team and a ground breaking, high-growth business. 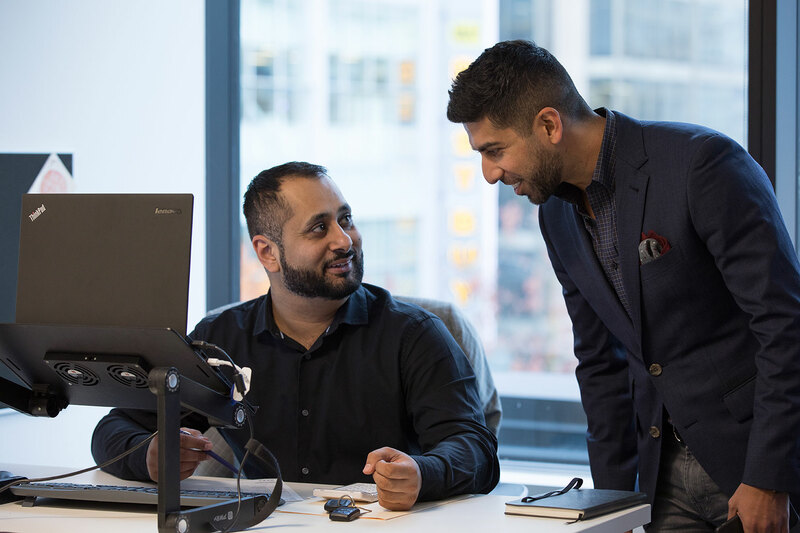 Our sprawling office stands tall in the heart of Downtown Vancouver, next to rows of reputable retail flagships, at the cross streets of Robson and the famous Granville Street. 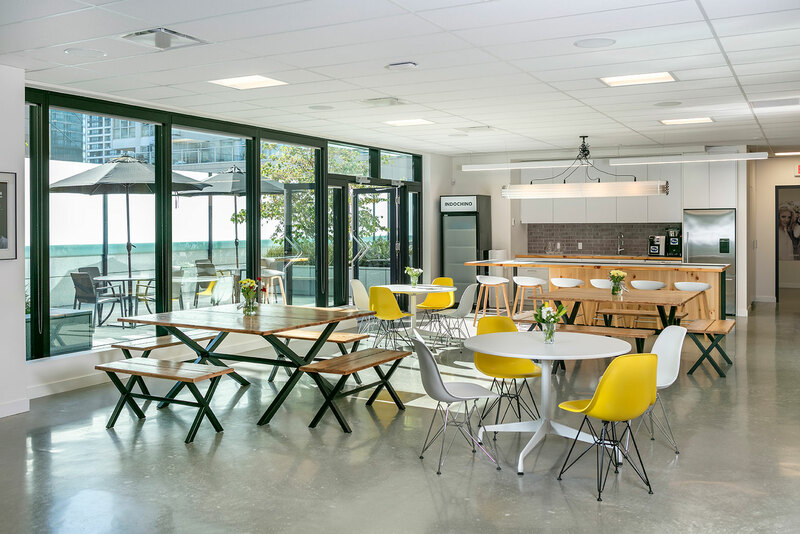 As you enter our HQ, you’ll feel a palpable sense of pride for our product and our people. Our CEO, Drew Green, will greet you with a high five and an open invite to share your ideas or just catch up over lunch. Our goal is to create a comfortable, lively, inviting environment for you from the moment you step through our elevator doors. We create a space where diversity is celebrated and personal expression and ambition hold the highest currencies. 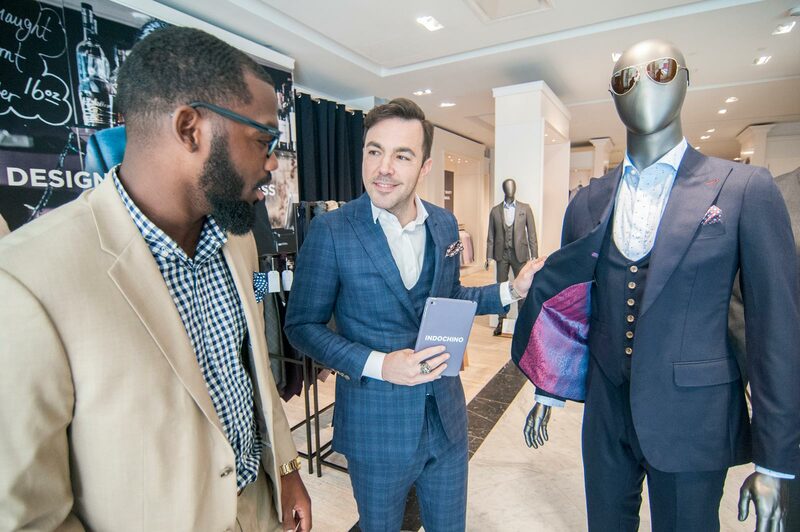 As you step through the entrance of our showrooms, you see the vision of the INDOCHINO brand and you feel the collaboration amongst team members. It’s a welcoming environment sparked with curiosity and passion. You’ll notice the clean lines in our design, luxury furniture and wall-to-wall fabric. You’ll pick up on the innate desire to give a one-of-a-kind experience to every customer - we make it memorable and unique. 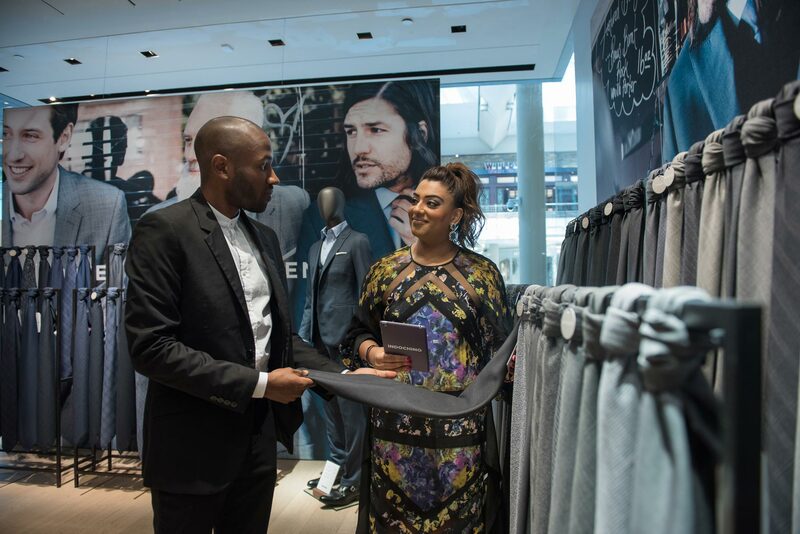 Our style guides are empowered to share their knowledge and obsession with design, fabrics, fit and fashion. The conversations are abundant, the energy is high and you can hear the buzz – from everyone hustling to provide a world-class customer experience. As you arrive in Dalian, you’ll be quick to notice that we have a strong local presence being a sought-after local employer. We are proud to extend North American employee programs globally. For us, it’s about quality and respect. We work closely with our strategic partner to continuously develop and grow a world-class manufacturing and supply chain operation. We have a robust top-down and bottom-up business planning process led by our executive team. In 2015, we implemented a five-year strategy centered around a newly minted mission to sell one million made to measure suits a year. 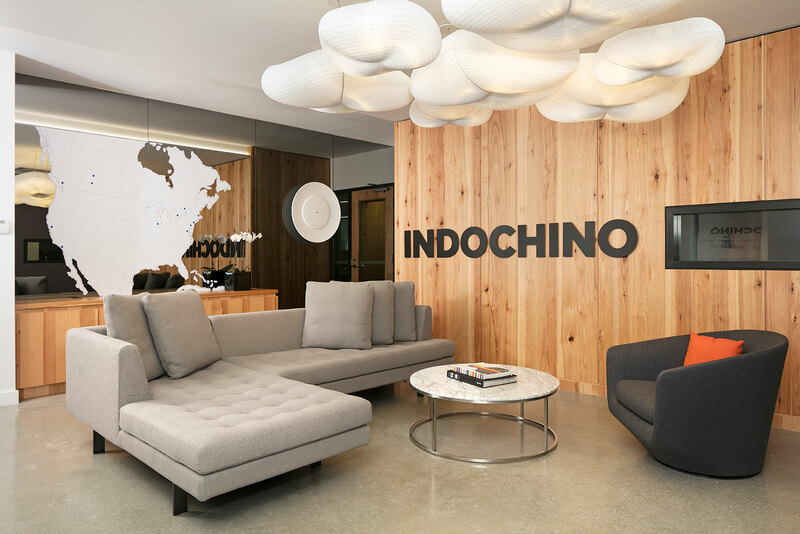 Our plan positions INDOCHINO as the undisputed global market leader in made to measure apparel and a direct competitor to ready-to-wear alternatives. Our business plan aligns our Purpose, mission, and core values to our business goals, all based on four key priorities: culture, growth, profit and optimization. These priorities direct our strategies and allow us to achieve our defined business objectives with confidence and precision. Every person in our organization has access to key business metrics. We use a real-time dashboard to display key business information and updates. This ensures constant alignment with the big picture and overall strategy. We believe in cultivating an environment that recognizes all the incredible talent we house. Our weekly town hall, hosted by our CEO, is known as “Game Ball”. In addition to sharing updates on the company’s strategy and key business activities, this is a forum where one team member recognizes another for exceptional performance, exemplary teamwork, and being a shining example of our core values. The recipient of the accolade will have the “Game Ball” for the week then pays the recognition forward at the next town hall. This is now become a global tradition that is carried out in all of our showrooms and our China office. We are title sponsors of Hoop-Law, an annual event where Vancouver’s legal professionals battle it out on the basketball court to raise money for children’s charities. We are a key partner of Whisky Wisemen, a non-profit based in Vancouver with chapters across North America. Founded on a love for whisky and a purpose to better the community, WW holds several events in a year that fund causes near and dear to our company. For every suit sold through WW, we donate $40 to its local chapter charity. Our Purpose is to inspire confidence that people admire. With this firmly in mind, we donate hundreds of suits a year to charities, including those that support disadvantaged people as they enter the workforce. A number of employees are graduates of the Blanche Macdonald Centre. We were able to give back to the college that educated our team by suiting up a number of students who were unable to afford to buy their own outfits. On your first day, we suit you up. You’ll get measured right after you connect with your new team. Your onboarding is more than just getting your paperwork complete. We want you to get comfortable in your new space and with your peers. 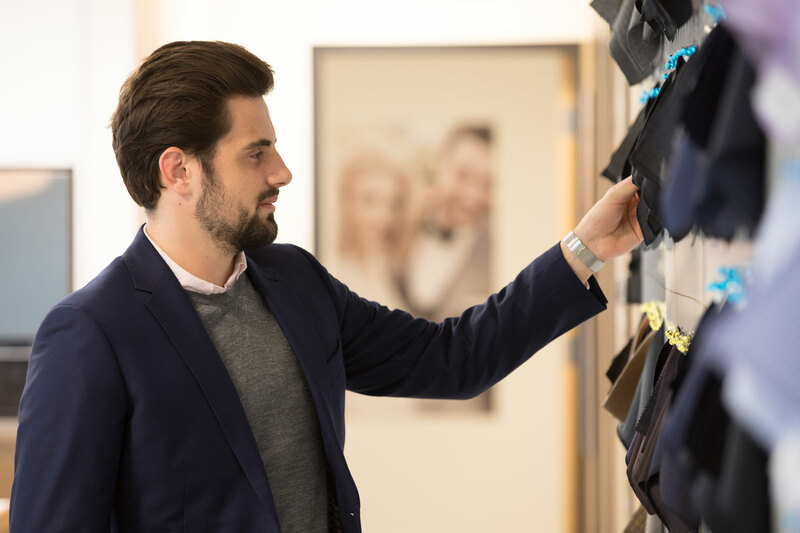 As a product-forward company, our focus is building your suiting knowledge followed by sharing our company strategy, mission and core values. We’ve built out robust training programs to embrace you into our culture and get you set up for success. We are focused on our people and are able to offer one-of-a-kind development opportunities for professional and personal growth. If it weren’t for our people, we wouldn’t be where we are today. We support and encourage you continuously learn, expand the depth of your knowledge and develop the skills needed for you to be successful with us and in the future. Your career is important to us. As a rapidly growing company with aggressive targets, we continue to expand our team, talent and resources to support our goals. One of our key strategies to retain our talent is to look for growth opportunities for our existing team members that align the business needs to our team member’s career aspirations. Since January 2016, we have successfully internally promoted and transferred 40 positions across and within various levels of the organization. Everyone is encouraged to maintain their designation(s), find a mentor in the organization and to strive for their next career goals. Being in a state of constant learning ensures we continually develop our talent. We recognize your achievements every step of the way, from hitting a personal goal to embodying our core values. We also have an official laurel that honors team members that go above and beyond—The Beau Brummel Award. Through a nomination process, we identify an individual that lives out our values to innovate and inspire, just like Beau Brummel did in the 19th century when he invented the modern-day suit. Of course, you’ll be suited up and have VIP access to our product. We’ve also built partnerships with everyone from luxury hotels to fitness facilities to offer you one-of-a-kind deals. We host annual parties from sponsoring Diner en Blanc to sailing the harbour in Vancouver on a yacht while drinking champagne. Our culture acknowledges that our people need a time to celebrate and enjoy our success, outside of the office. SO, WHERE DO YOU FIT IN? Well, that’s up to you. Our teams are growing and the opportunities are abundant. Find a career that suits you, here.